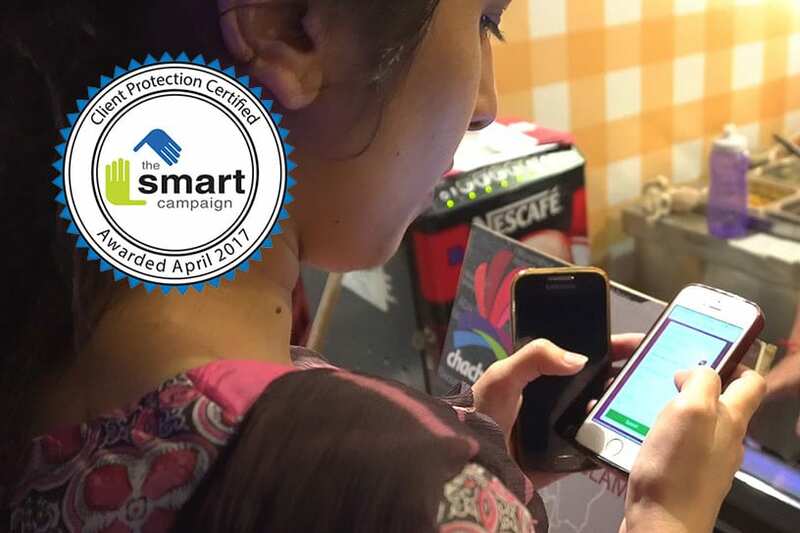 May 8, 2017, Lahore and Washington, DC –FINCA Microfinance Bank in Pakistan, one of the fastest growing in the country, announced today it received the Smart Certification recognizing its deep commitment to client protection. FINCA Microfinance Bank in Pakistan joins FINCA Impact Finance subsidiaries in Kyrgyzstan, Azerbaijan, Georgia and Kosovo in receiving this recognition of high ethical standards in the treatment of clients. FINCA Microfinance Bank is one of Pakistan’s largest financial institutions and serves nearly 450,000 low-income entrepreneurs, small businesses and savers. In 2017, they will be launching a subscription based mobile wallet which allows clients to conduct digital payments entirely via their smartphone, including wallet-to-wallet funds transfer, bill payments and top-ups of prepaid cell phone service. This innovative financial technology has the potential to dramatically expand access to responsible financial services in a country where only 9% of the population has an account at a formal financial institution. The Smart Campaign is a global effort to embed a set of client-protection principles into the fabric of the microfinance industry. This Certification is awarded to financial organizations that institutionalize the Smart Campaign’s seven Client Protection Principles, which include: appropriate product design and delivery, prevention of over-indebtedness, transparency, responsible pricing, fair and respectful treatment of clients, privacy of client data, and mechanisms for complaint resolution. FINCA Impact Finance is a network of 21 microfinance institutions and banks that provides socially responsible financial services and enables low-income individuals and communities to invest in the future. The majority owner of the network is FINCA International, a microfinance and social enterprise not-for-profit leader dedicated to creating economic inclusion for the poor. For more information, visit www.FINCAImpact.com.